I've loved these Honey Carrot Cookies from the very first time I made them. It's an easy recipe to make and who doesn't love the homey flavors of vanilla, pumpkin pie spice and honey. 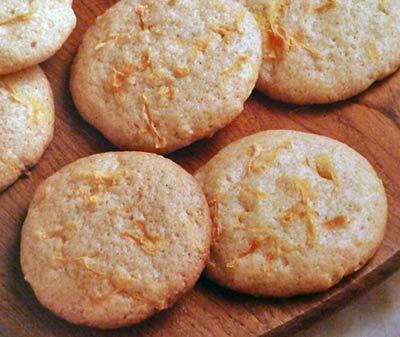 The addition of shredded carrots really adds to the texture and helps keep the cookies stay moist. In a large bowl with an electric mixer on medium-low speed, beat the flour, sugar, butter, eggs, honey, baking powder, pumpkin pie spice, salt and vanilla until well mixed, about 2 to 3 minutes. Stir in shredded carrots until distributed throughout. Roll into 1-inch balls using heaping teaspoonfuls of dough. Place balls at least 2 inches apart on ungreased cookie sheets. Bake for 13 to 18 minutes, or until edges turn golden brown. This recipe makes about 48 Shirley's Honey Carrot Chews.